What is DD-WRT used for? What is DD-WRT default password? How do I get DD-WRT? What are the DD-WRT alternatives? Did you know that it is possible to boost the performance of your Linksys wireless routers and give it advanced, business-class functionality by changing its firmware? This is possible with DD-WRT. By installing DD-WRT, you remove the inbuilt restrictions that come with your router firmware. This expands its capabilities and allows you to enjoy some advanced features. Quick Answer: DD-WRT is an alternative Linux-based, open-source firmware that was originally designed for the Linksys WRT54G router series, but it can be used with other models. You may have never heard of DD-WRT, but this firmware has been around for more than a decade, and it is regarded as one of the top third-party router firmware. Some companies (including Linksys) even ship routers pre-installed with DD-WRT. Now, you may be wondering what DD-WRT means. Well, this firmware was launched in 2005 by a team based in Dresden, Germany led by Sebastian Gottschall. The letters “DD” in the name of the firmware comes from the license-plate identification system used for cars registered in the city. Meanwhile, the “WRT” part of the name essentially stands for “wireless router“. It is thought to have been derived from the name of the original router series that it was designed for, WRT54G. To understand how DD-WRT works, you need some basic knowledge of how the firmware that your router comes with can limit its potential. Firmware is like the brain of your router. It is embedded in the hardware and essentially determines what the device can do. Erasing the stock firmware that comes with your router and installing DD-WRT on it is akin to changing its brain. This will allow your router to do things that it may not have been capable of previously. For example, your router may not have been capable of encryption and creating multiple Wi-Fi networks. However, installing DD-WRT on it will expand its functionality, allowing it to support these features and more. There are several features of DD-WRT including the ability to manage your bandwidth, VPN integration, support for all WLAN standards, and enhanced frequencies. Below is a list of the features of the standard version of this firmware. This is by no means an exhaustive list of the DD-WRT routers. As indicated above, depending on the firmware that you choose, you may enjoy more features or less. There are many benefits of using the DD-WRT firmware. Below are some of them. Stability: One of the main advantages of DD-WRT is that it gives you a more stable connection that stock router firmware. You will rarely have to deal with frequent hardware crashes when using this firmware. Stronger Connection: DD-WRT allows you to take advantage of the full capabilities of your router. It can enable you to boost the range of your WiFi and give you a stronger signal without having to spend money on extra hardware. DD-WRT's WDS wireless bridging allows you to widen your network by adding a second wireless router to the setup. Control Bandwidth: DD-WRT routers support QoS settings. This allows you to prioritize your bandwidth and determine how it is used. This can be very beneficial to enterprise clients and gamers who need high bandwidth to complete certain processes smoothly. Monitor Bandwidth Performance: Another key benefit of using DD-WRT is that you can get access to charts showing the performance of your network and your bandwidth levels. This can go a long way to help you identify possible issues with your network and fix them. Accessibility: Using port forwarding, you can gain remote access all the devices connected to your router. Powerful Firewall: DD-WRT comes with a powerful firewall which ensures that there is no unauthorized access to your network. DD-WRT comes with many other tools that improve the security of your router. VPN Support: Using DD-WRT, you can configure your router to a VPN connection. This ensures that all the connected devices can benefit from browse through secure tunnels without having to be configured individually. Built-in DNS Caching: This can go a long way to speed up the loading time when you revisit some sites. Frequent Updates: The DD-WRT firmware is updated frequently. This means you are protected against the latest security threats, and you can benefit from the newest developments to the firmware. DD-WRT routers receive several updates each month. These are just a few of the benefits of DD-WRT. Generally, this firmware gives you more options to improve the functionality of your router. By using DD-WRT, you don't have to spend money on a powerful router to enjoy some of the advanced features mentioned above. You will find many routers on the market that come pre-installed with DD-WRT. Below are five of the top ones. The AC5300 is a tri-band router – two bands have a speed of 5Ghz and one with 2.4Ghz. It was created to provide a stable, uninterrupted Internet connection. The router is built with a 1.8GHz, 64bit Quad-Core processor as well as 4×4 802. 11ac MU-MIMO technology. It has a maximum range of 5,000 square feet and throughput speed of up to 5,334 Mbps. The GT-AC5300 was designed to give you optimal gaming performance. It comes with inbuilt support for WTFast Gamers Private Network. You can choose to run a VPN and regular connection at the same time on this device. This ASUS router is designed with eight different ports as well as dual USB 3.0 connection. 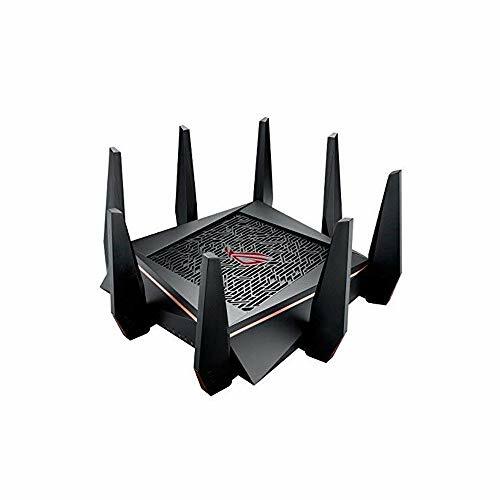 It also features ASUS' AiMesh technology which allows you to integrate different ASUS routers and boost your WiFi range. This is another powerful DD-WRT router, and it is comparable to the ASUS AC5300. The EA95400 is a tri-band router (two 5Ghz bands and one 2.4Ghz band) which can support speeds of up to 5,333 Mbps. It is perfect for gaming as well as streaming movies. It comes with eight Gigabit LAN ports and USB 3.0 ports with speeds up to 10x faster than the standard Ethernet speed. The Linksys EA95400 supports MU-MIMO so you can broadcast high-speed WiFi to several devices without slowing down the network. Moreover, just like the AC5300, this router comes with several antennas. 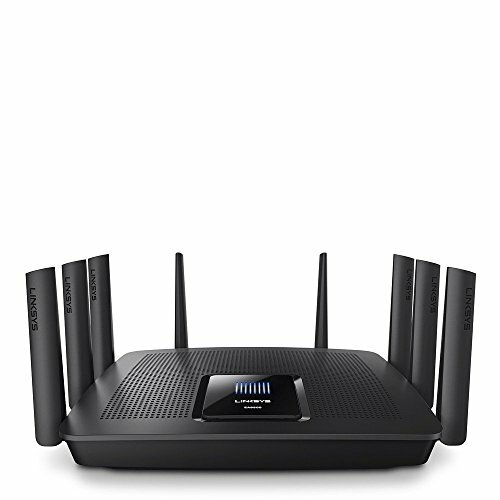 Another impressive feature of the EA95400 is that it comes with Linksys' Seamless Roaming technology which allows you to pair the Max-Streamer extender with the router to get the strongest WiFi signal. Buffalo was one of the first router makers to ship devices with DD-WRT, so it is only right that there is a router from this company on the list. Unlike the two previous routers we've looked at, the AirStation N300 supports a speed limit of up to 300Mbps. Although this router has some advanced features, it is easy to operate. It supports IEEE 802.11b/g/n Internet standards. The Buffalo AirStation N300 features three Ethernet ports. It is the perfect router for creating a high-speed wireless network in your home or small office. The WiFi range is pretty wide, and it can support several users without any compromise on Internet speed. 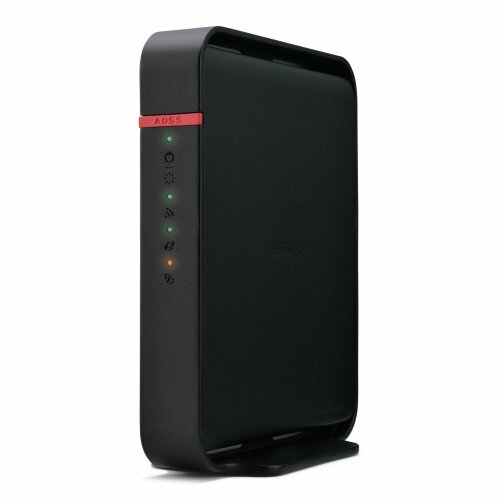 It is compatible with 2.4GHz Wi-Fi networks so you can expect excellent speeds. This is a relatively cheaper router from Linksys compared to the EA95400. It is an excellent option if you are on a tight budget and you want to enjoy the all the features of a router that DD-WRT provides. The WRT54GL is best suited for 802.11g and 802.11b connections. It features five Ethernet ports. 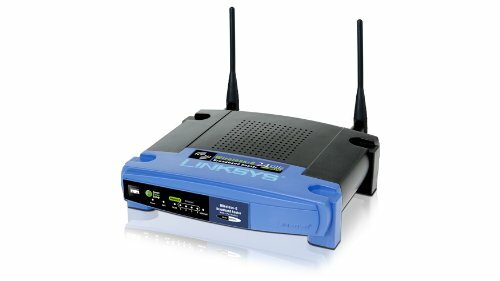 This Linksys router is recommended for use in a home or small office. The WRT54GL is an entry-level router, but it comes with several advanced features for networking and security. It is quite easy to configure, which makes it ideal for newbies who want to use DD-WRT. DD-WRT is an open source firmware based on the Linux kernel. It is used to enhance the capabilities of wireless routers by removing the limitations that come with the stock firmware. With DD-WRT, you can transform a basic router into a super enterprise-level device. DD-WRT allows you to take full advantage of the potential of your router. The default password to use when you install DD-WRT on your router is “admin” while the username is “root.” For Linksys routers, the default username and password are both “admin.” You can easily change the password to something more elaborate. However, if you forget your new password, you have to reset the firmware to the default factory setting before you can access it. Yes, DD-WRT is free to download online. If you want to flash an old router you have and install DD-WRT on it, all you have to do is visit https://dd-wrt.com to get it. This firmware is also available on many other sites. When downloading DD-WRT, it is essential to make sure the version of the firmware that you choose is compatible with your router model. If you choose to buy a router that comes pre-installed with this firmware, you'd have to pay whatever price the manufacturer wants. You must take the time to learn and follow the proper instructions when installing DD-WRT on your router. If you fail to follow the proper procedure, you risk ‘bricking' your device. This may render your router completely unusable, or you may have to spend a lot of time and effort to recover it. DD-WRT is probably the third-party firmware with the largest userbase. However, there are other alternatives that are equally as good such as OpenWRT, Gargoyle Firmware, Tomato Firmware, and Chilifire, among others. Enterprise-level network monitoring and support. Compatible with a wide range of routers. Comes with lots of advanced features which may slow down some network. All the features don't work on some routers. It frequently reboots when performing certain actions like re-establishing WDS link. It is better suited for advanced users than newbies because it requires some technical knowledge to set up this firmware and manage it.